Flight: Yes, Batman can fly, but we've only ever seen him fly short distances, usually from rooftop to rooftop or from a high platform down to a lower one. This is perfectly in keeping with glider technology that he could hide in his cape rather than innate powers of flight like Superman has. Note that Batman is often seen flying in his Batplane - why would he even need a Batplane if he could fly wherever he wants? Ropes and grappling hooks could also be used to simulate the appearance of unaided flight. 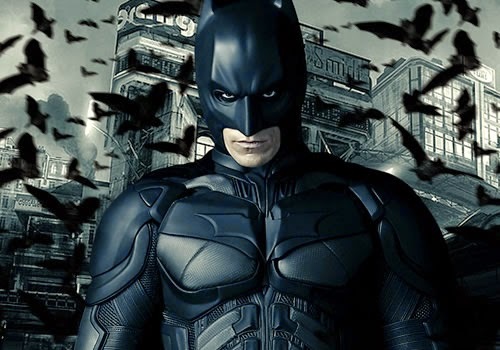 Bat Senses: Batman has sonic abilities, able to both summon bats and to detect and chase criminals. It is possible though that instead of having genetic bat powers, Batman has invented some sort of 'sonic device', emitting sound waves to create some sort of sonar technology that works on the same wavelength as bats. Fighting: Batman certainly possesses supernatural fighting ability... or does he? Whilst other heroes gained their incredible fighting skills via magic or cyborg implants or government serums, it is within the realms of plausibility that somehow Batman managed to master every single fighting skill within the space of a few years. Invulnerability: True, we have seen Batman take an awful lot of punishment, from having his back broken to being shot at point blank range, but still he keeps going. Is Batman truly invulnerable though, or is there a simpler explanation? He may have lined his batsuit with all sorts of strengthening materials to absorb shock, and as unlikely as it seems he may have developed some sort of 'bulletproof' material. Gadgets: Batman has an almost infinite array of gadgets, producing all manner of vehicles and weapons at the drop of a hat. Whilst the obvious assumption is that these come from some sort of magical realm, or that he has a Power Ring like Green Lantern uses, there is an important factor that many have missed: Batman is hinted heavily to be involved with millionaire Bruce Wayne in some capacity. Wayne could be generous enough to bankroll Batman's entire operation, though yes, it would be a hefty investment! Looking at the above evidence, it is indeed possible to believe that Batman doesn't possess any superpowers, but instead via a series of contrivances has managed to cleverly simulate their appearance. Even if only a portion of the above theories are correct, they would certainly redefine who Batman is and what exactly he can do in the eyes of the public! Have...have you ever actually read Batman? Look at the date this was posted. Duh. Of course he doesn't.